This is the place to connect our community with the local food system. Members have a weekly opportunity to interact with local farmers as a participant in our local farmers market. Members get an inside look at what’s available locally and can get to know their local farmers through buying at the market. Our community market can help stock your kitchen year-round with healthy, accessible local food. Viable local farming operations are cornerstones of a more sustainable community. 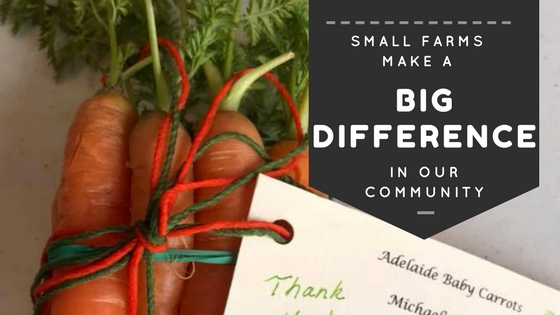 Unlike other co-ops, buying clubs, or CSAs where everyone gets the same box of stuff (and you don’t know what you’re getting until you get it), with RCM you get to order what you want, in the quantities that you want, from the farms that you want. • First, sign up for an account by clicking on “Your Account” at the top of the page. Once you have an account you will be notified each Sunday when the market opens and you’ll be able to place your orders until Tuesday evening. • Order conveniently from the comfort of your home computer by visiting the market page for the week’s offerings. You will receive an email confirmation of your order. • Know what you are purchasing with more information about the farmers, their practices and their products on our grower page. The farmers estimate how much of each item will be able to harvest a week ahead of time. This takes both skill and practice. Even so, unpredictable factors can make the difference between having a bumper crop or a very small harvest. So, the site will allow customers to keep on ordering an item even if sales have passed the estimated availability. Please exercise patience with farmers as the conditions of the field can change between the weekend and harvest time. Ordering is weekly from Friday at 12pm through Sunday at 10pm. After you’ve set up an account, you’ll receive an email notifying you that products are available. Please visit our site and place your orders before 10pm on Sunday. 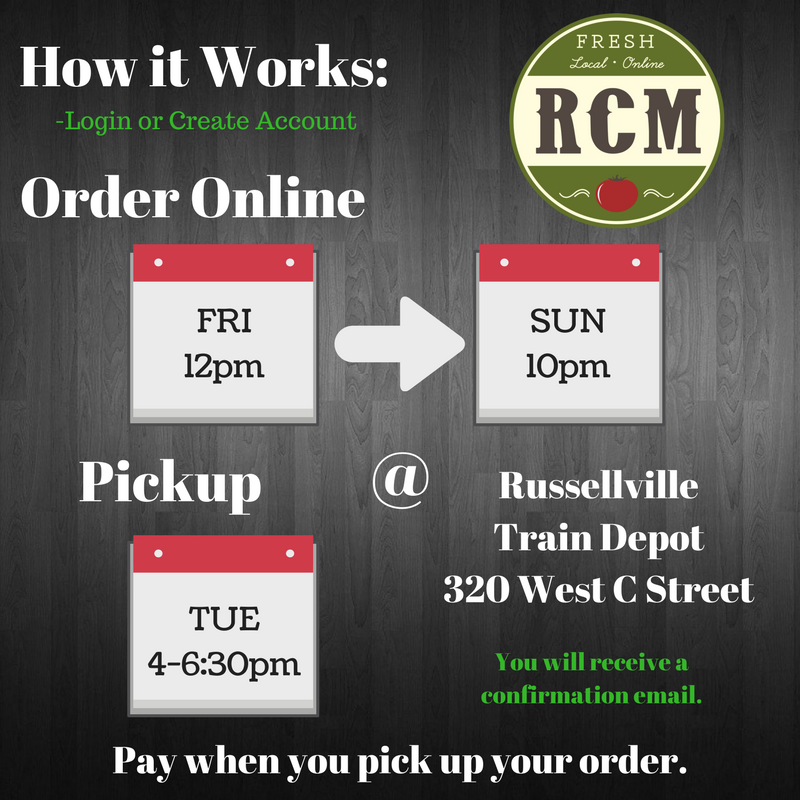 You may pick up your order on Tuesday between 4pm and 6:30pm at the Main Street Russellville Train Depot – 320 West C Street. Cash, checks, SNAP/EBT, credit and debit cards are accepted for payment when the order is picked up. Customers are charged an 10% surcharge onto each order. 3% of this fee goes directly to pay for the use of the locallygrown.net software program, with the remainder going to cover marketing, advertising, and management of the market. You can think of this charge as a tax on your market purchases that you will directly benefit from. Farmers are also only charged a 10% surcharge on their sales, instead of a flat yearly fee in addition to a surcharge. Please email the market managers at RussellvilleCommunityMarket@gmail.com or click the Q & A link above for some basic questions and answers about the market.